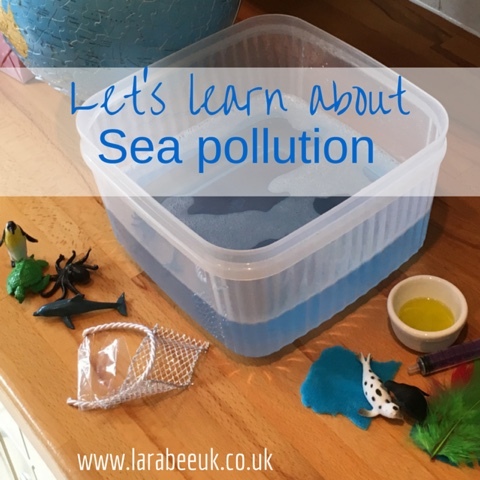 Continuing our learning about some basic environmental issues, I set up a few activities with T to take a look at sea pollution, how it affects wildlife and what we can do to help. 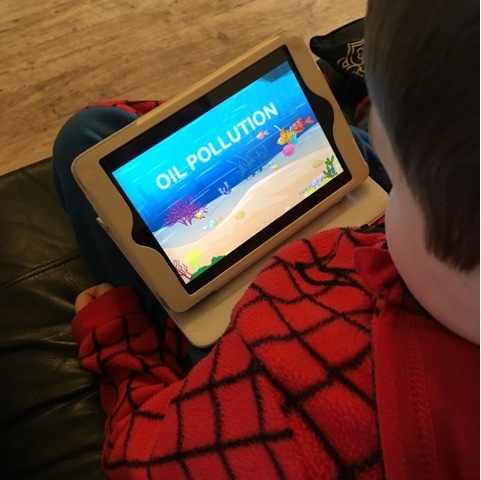 The first thing we did was watch this childrens YouTube video about water pollution, this set the sceen and got us talking about pollution. 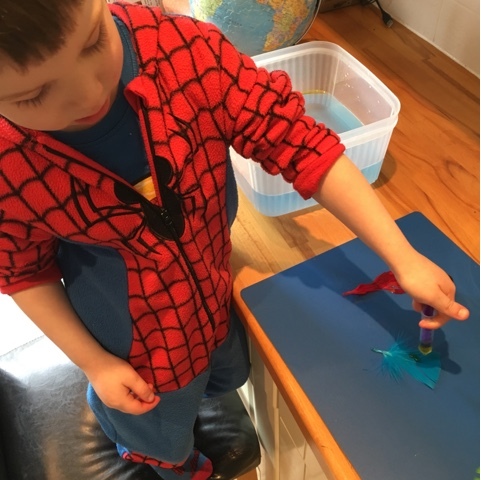 We then moved on to our first activity. 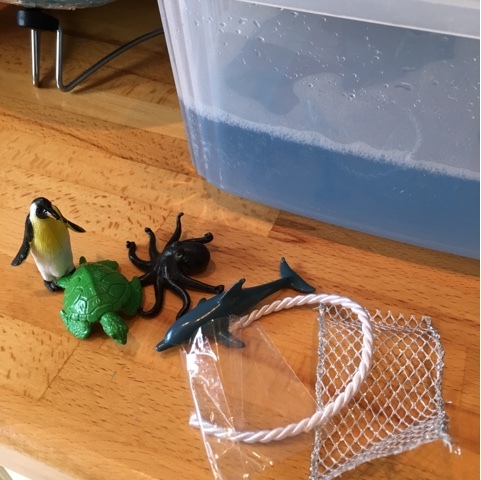 I filled a clear tub with water and added a little blue food colouring to suggest the sea. 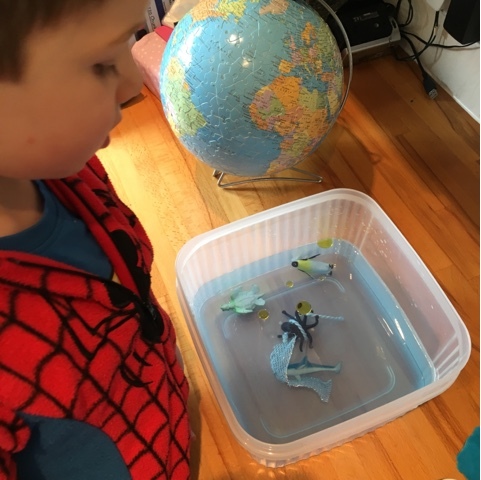 We looked at the globe and talked about how much water there is compared to land, how deep T thinks the sea is and what creatures live in there. One at a time we talked about the problems faced by each animal and what people should do to prevent it. T actually got a little upset at this when he found out animals die by getting stuck like this. 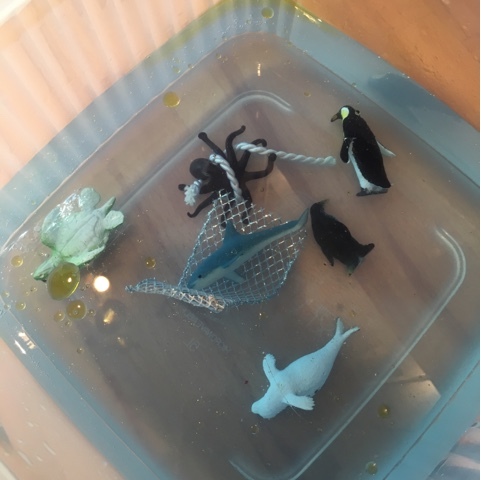 Our second activity was to simulate how an oil spill affects the fur and feathers of sea creatures. 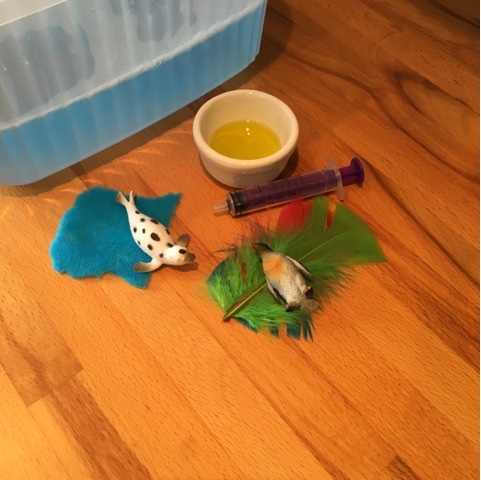 We took a penguin figure and talked about it having feathers, I asked T what he thought would happen if they got oil on, he said he didn't know, so we tried applying some oil to a feather using a syringe, T realised that this would make it very difficult for the penguin (or any bird) to swim or fly if their feathers are weighed down with oil. 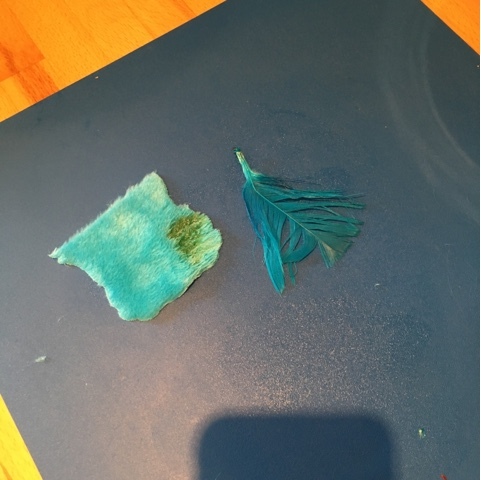 We did the sea experiment with some 'fur' fabric. 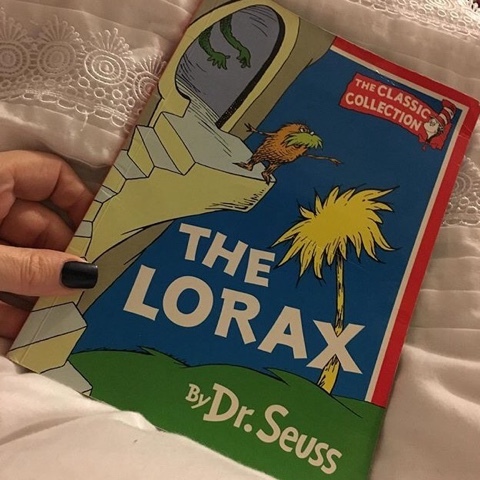 To finish our learning, we read the book 'The Lorax'. You can find our let's learn about polar bears and global warming post here. This a clever and meaningful activity! I am sure my kids will enjoy and learn as well.